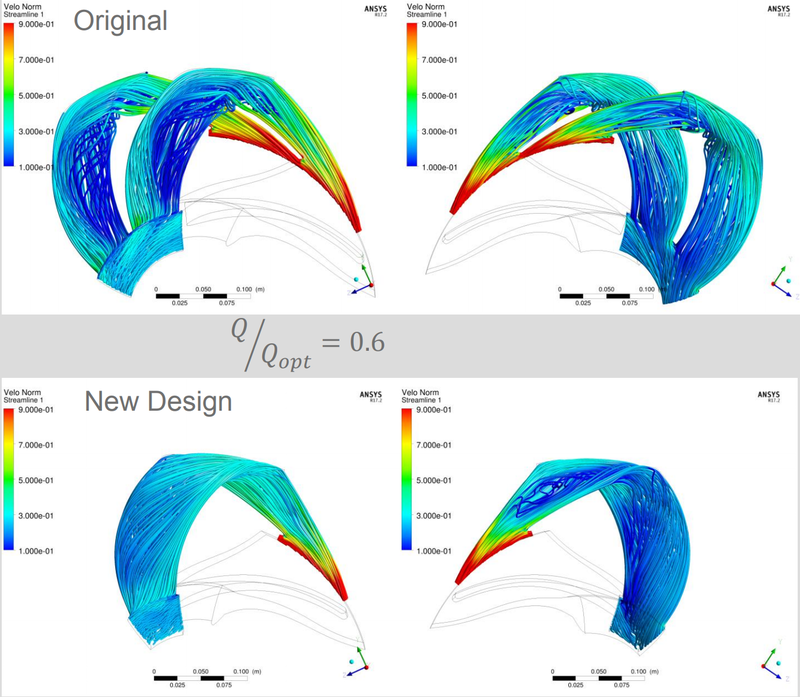 CAESES® is the most flexible solution in the market for fast and comprehensive pump design in the context of shape optimization with CFD (Computational Fluid Dynamics). CAESES® drastically speeds up the engineering process by automating geometry generation, to find optimal design candidates in the shortest time. 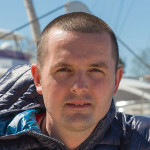 Investigate large sets of design candidates – fully automated! Leading companies worldwide – such as KSB, Grundfos and Hitachi – have integrated CAESES® into their workflows for delivering high-quality, optimal pumps to their customers. What makes CAESES® different to other pump design tools in the market is its focus on robust variable geometry for CFD-driven design processes – with full customization possibilities and no black box models. Import and start with a preliminary baseline design which can be used for fitting your custom CAESES® model. 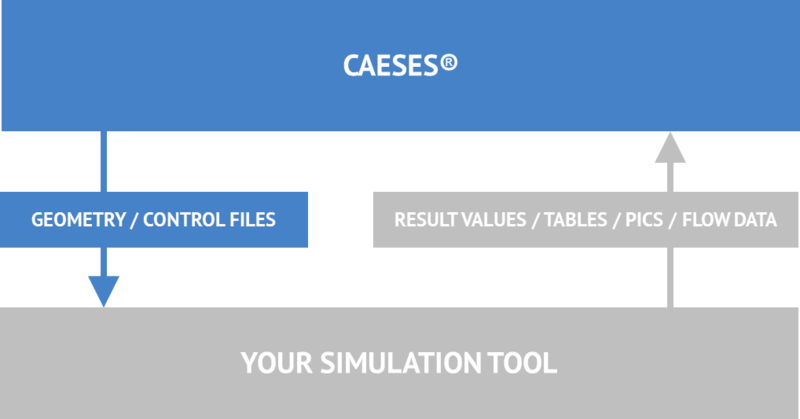 Such a CAESES® model is 100% robust during variation, and ready for fully automated analysis with your simulation tools. 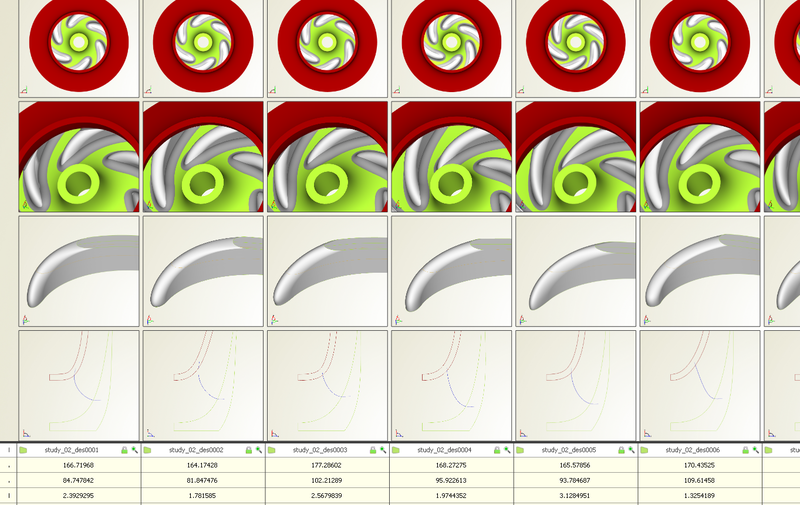 The parametric flow domains are also available for the generated impeller geometries, to fully automate the meshing process. Predefined colors and indices make sure that all references are kept during design studies and optimization runs. The parametric model setup in CAESES® allows you to include all your pump design expertise, as well as any manufacturing or geometry constraints. 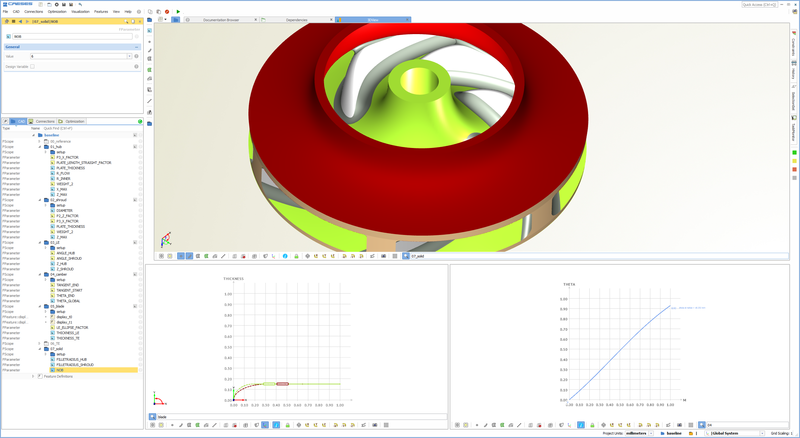 This makes sure that only feasible and meaningful designs are generated, and you drastically accelerate your design process by saving unnecessary expensive CFD computations. CAESES® gives you a flexible CAD environment including scripting possibilities. The scripting environment allows you to customize everything according to your individual company requirements. 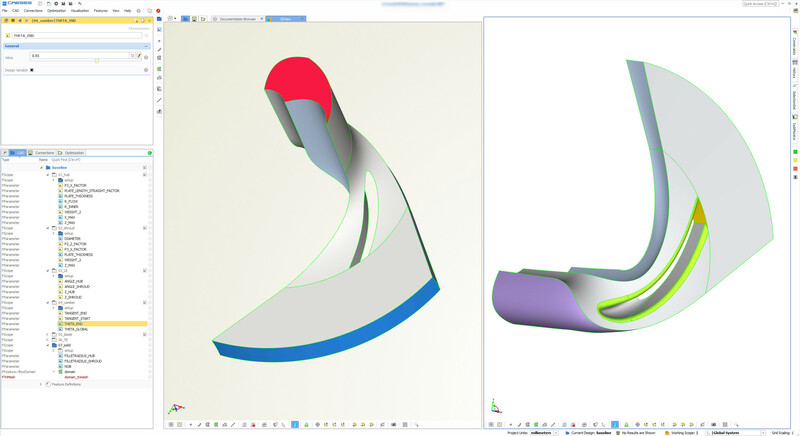 Customization examples are parametric hub and shroud contours, wrap angle definitions, thickness functions and radii-based profile definitions, fitting processes and channel optimization etc. By using the CAESES® feature definitions, you can even code your own preliminary design tools using mathematical formulas, functions and control statements (if-else conditions, loops, break, switch and cases, …). With this and the integrated optimization methods you have everything available to conduct design studies and shape optimization. All in a single unified graphical user interface! CAESES® is also used for pump volute design and volute shape optimization. Interested? Then please see our volute section for more information. There is a presentation “Application of self-programmed custom features and special meridional contours for the design of multi-stage pumps” from KSB, about pump channel design with CAESES® and ANSYS tools. I have been successfully using CAESES for many years now. It allows me to create my own customized toolbox with everything I need in the different stages of the pump design process. The functionality of CAESES greatly accelerated and complemented our traditional design process. Finally, it lets us improve the quality of our various different types of pumps. — Dr. Toni Klemm, CFD engineer, KSB SE & Co. There is a free download “Pump Design and Optimization with CAESES®” (PDF). Full workflow automation with CAESES® and your meshing/optimization/CFD tools. Just get in touch with us and we’ll get back to you!